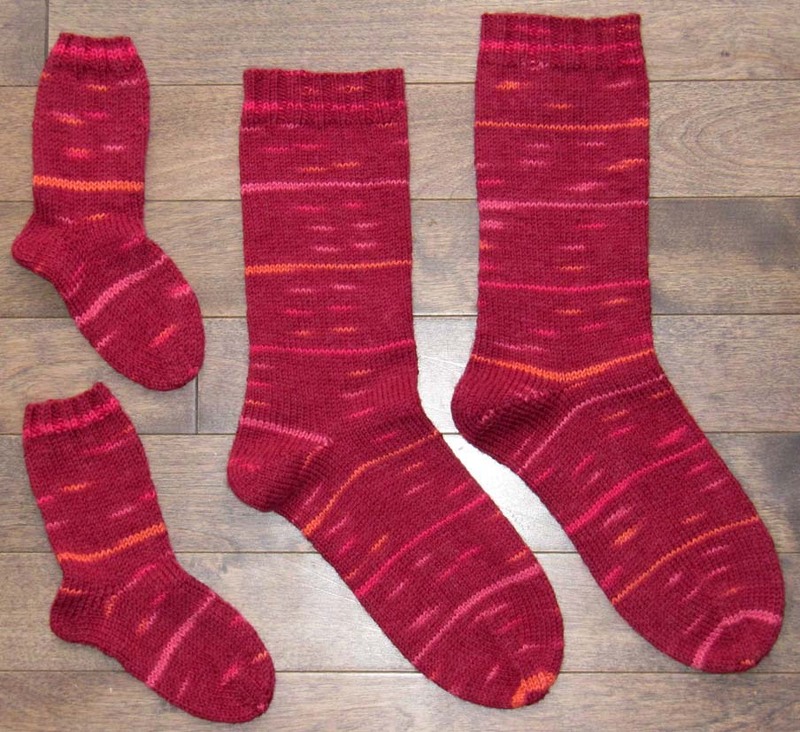 Yesterday I wrote about the red socks that I finished. There was quite a bit of yarn left over so I did some math and worked out a pattern for a pair of toddler socks for my grandson - about a size 2. There was also enough yarn remaining for a couple of blocks for my sock yarn afghan. I can't wait to get back to that project. Finishing the socks opens up a slot in my Rule of Four. Next from the queue is the bread basket liner that I read about on the Rainey Sisters' blog. I get many (too many!!) ideas from reading it. I'm also working on a quick scarf for charity but I'm not counting it in my Rule of Four as it's only going to take a couple of days. I admire your discipline. I spent the weekend trying to wrap up some projects that have been too long on the needles and I'm still at it!